Updated Saturday 15th: Another Belfast republican, Pádraic Mac Coitir, has been arrested by British police. Here is a video of Pádraic speaking before his arrest. This week has seen the arrest of three republicans, and friends of 107 Cowgate, in Belfast for taking part in a peaceful protest against a sectarian Orange march being forced through Ardoyne in July 2010. All three, Rab Jackson, Tony Catney and Dee Fennell, were part of a group of community activists who refused to pay a fine imposed by a British court. Despite loyalists spending most last week engaged in rioting, the British police chose this week to arrest these republican activists and they are currently being held in Maghaberry Gaol. Here is a clip of Rab Jackson speaking prior to his arrest. Rab is vice-chairman of eirigi and below is a statement issued by the party. This is followed by a statement from Greater Ardoyne Residents Collective (GARC) regarding the arrest of Dee Fennell. On Wednesday morning in Belfast, Rab Jackson, the national vice-chairperson of the socialist republican party éirígí, was arrested by the PSNI and taken to Maghaberry Prison. Jackson was arrested by the PSNI on a street near his home. Two years ago, Rab Jackson had participated in a sit-down protest organised by residents of the Ardoyne area of north Belfast to oppose unwelcome, provocative and sectarian parades in the area. In 2011, thirty of those who participated in the residents’ protest at Ardoyne were convicted by a Belfast court for opposing the Orange Order. Although the protest took place in July 2010, it wasn’t until six months later that summonses were handed out by the PSNI. It was obvious this was a political decision aimed at punishing the Ardoyne residents and their supporters for having the audacity to object to the open sectarianism of the Orange Order. Jackson, like many others, has refused to pay fines imposed upon them for participating in what was a legitimate, peaceful protest – a form of protest deemed perfectly acceptable and normal in many countries. The arrest of Rab Jackson is the latest incident in an ongoing campaign by authorities in both the Six and Twenty-Six county states to suppress and disrupt the party. In recent months, a number of éirígí members, including the party chairperson, Brian Leeson, have been arrested and detained. Several party members, including one elected councillor, have already been imprisoned on both sides of the border for participating in anti-government protests. One Newry party member was recently arrested and imprisoned for taking photographs of the PSNI harassing people involved in a roadside picket. Another Dublin party member is facing charges of “causing criminal damage” to a car belonging to a minister of the Twenty Six County government. That farcical charge relates to a recent anti-austerity protest when the ministerial car was struck by an egg – the damage allegedly amounted to €9; the cost of washing the car! Across the country, many éirígí activists and supporters have reported that they are being subject to ever-increasing harassment by the PSNI in the Six Counties and the Gardaí in the Twenty-Six Counties. At least one internationally respected human rights organisation has started to monitor this state harassment of the party. Speaking in the aftermath of this morning’s arrest, éirígí general secretary Breandán Mac Cionnaith said, “It is very obvious that police forces in both partition states have been given some sort of political direction to initiate a co-ordinated campaign of harassment against party members and supporters. It could well be their assessment that the various campaigns and the extensive local activism which our members are involved in are having an impact. The incarceration of nationalists for peacefully protesting on their own streets shows if proof were needed that the two tier sectarian society has not changed. The promised parity of esteem and equality is nonexistent as we watch absolute carte blanche being granted to loyalists to take over areas, block roads and vandalise all without fear of recrimination. While the First Minister publicly declares that “Nobody but a tyrant would suggest that there should be an end to peaceful protest in public. Who on earth would suggest that it is appropriate that people cannot peacefully and publicly protest about decisions that they do not agree with?” Again we find these are only empty words for nationalist as Ardoyne residents are being treated as second class citizens in their own area. 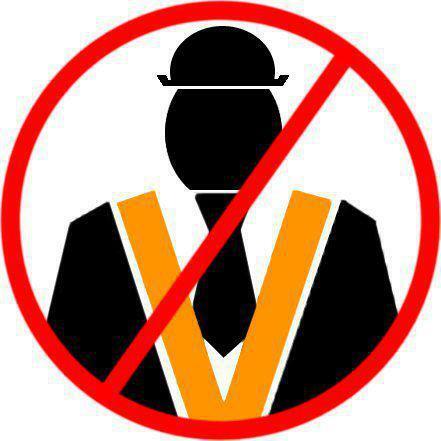 As long as these unwanted sectarian marches are forced, imposed and facilitated against the will of local residents. It will be the policy of GARC and our supporters to oppose these coat trailing exercises by any peaceful radical means at our disposal, even if it means the unjustified imprisonment of our members. The residents of Ardoyne are still being treated as second class citizens in their own area, which has been proven on many occasion, this despite the hollow meaningless statements to the contrary made by politicians. The naked sectarianism of Loyal Order parades has been shown in stark reality by the recent events at St Patricks Church, where ‘the famine song’ was played, the words of which are deeply offensive, provocative, racist and anti-Catholic. Despite committing many blatant infringements of the rulings laid down by the Parades Commission all without fear of prosecution, the Loyal Orders also their supporters receive the full protection and support of the PSNI and Unionist politician, proving a further example of a ’’ Protestant State for a Protestant people’’. The double standards shown by the PSNI and Judiciary must cause great concern to all those people or organisations that believe in the protection of Civil Rights and Equality. The Parades Commission have proven they are inept and incapable of resolving the contentious parades issue by their ludicrous decision to allow Loyal Order marches pass down this contentious stretch of the Crumlin Road. GARC accept that the Protestant, Unionist and Loyalist community have a legitimate right to express their religion, culture, heritage and allegiance to Britain. We do not wish to hinder those rights, however, parades should take place were they are welcome and this is clearly not the case on this stretch of Road. These contentious marches only serve to poison community relations and further alienate and polarise our peoples, and all just to pander to the will of a few bigots who use culture as an excuse to mask and impose their outdated and obsolete triumphalism upon our community. When such parades are permitted we are besieged by the full might of riot-clad PSNI who ensure their passage through our area by all means at their disposal. The Parades Commission’s ignorance of our community’s right to live free from sectarian fear and intimidation is wholly unacceptable as they continue to treat us like second-class citizens in our own country. A proposal put forward by GARC is that the Crumlin Road becomes a ‘‘Neutral Zone’’ where no organisation or group from either community will apply to march along this contentious stretch of road; this would defuse the tense and sometimes hostile situations that arise, and will benefit both communities. Our goal (GARC) is to resolve this issue that plagues our area and is a blight upon our people young and old, local business and essential services etc, we have in the past suggested an alternative route in an attempt to facilitate a solution, but to no avail, so far the Loyal Orders have failed to reciprocate our offer.